"Key West is known for strange, but the story of 'Count' Carl von Cosel just might be the strangest of them all. 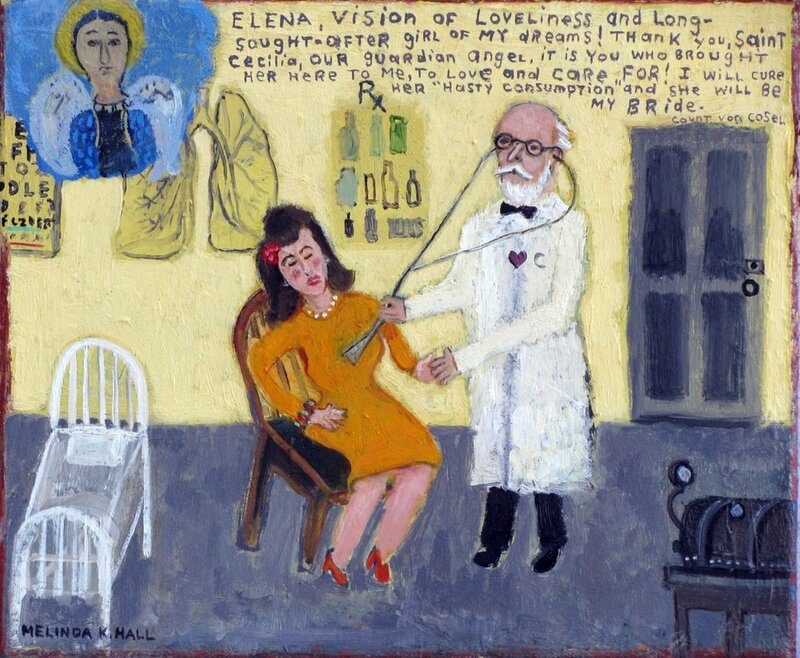 Von Cosel, a radiologist, achieved international fame in 1940 when the corpse of his true love (and former tuberculosis patient) Elena Milagro Hoyos was discovered in his secluded house on Flager Avenue, where he’d kept her preserved for seven long and amorous years. Writer/musician/playwright Ben Harrison penned the definitive account of this true macabre love story in his nonfiction book, Undying Love, which earned him a spot in front of national audiences on the Howard Stern Show and This American Life. Originally performed at the Appelrouth Grill in 1995, Undying Love: The Musical distills the atmosphere of Key West in the 1930’s, and perfectly melds the pathos of von Cosel’s tale with Harrison’s signature dry humor. Now, over twenty years later, Harrison brings his fully revised stage version to life at The Studios of Key West. Veteran Director Richard Grusin and Musical Director Larry Baeder will lead a crack ensemble of actors and musicians to tell this true story that's as fascinating now as it was when it was being reported in newspapers all over the world." This project is made possible in part by a grant from the Community Foundation of the Florida Keys and The Anne McKee Artists Fund. 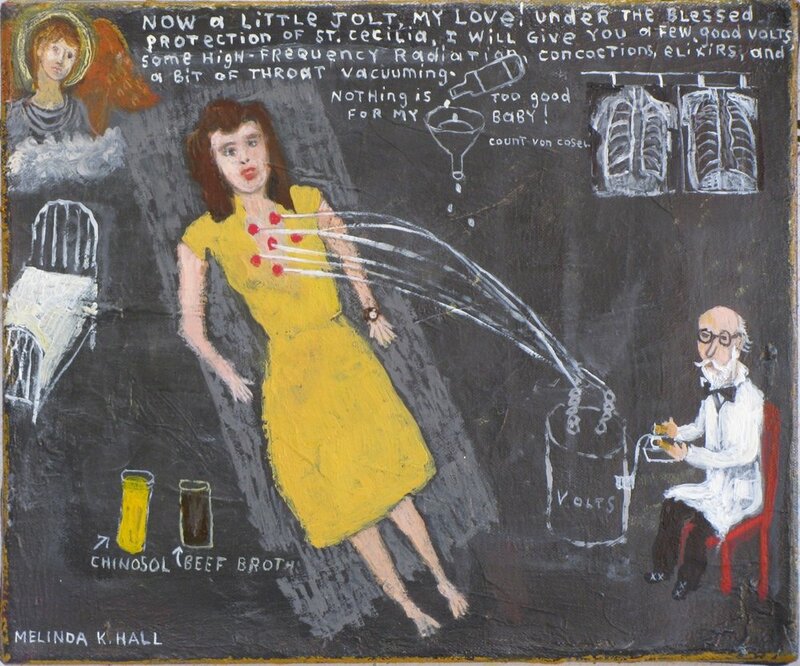 Hall was inspired to interpret Von Cosel and Elena’s relationship in a series of 8 Ex Voto paintings entitled, A Love Possessed. 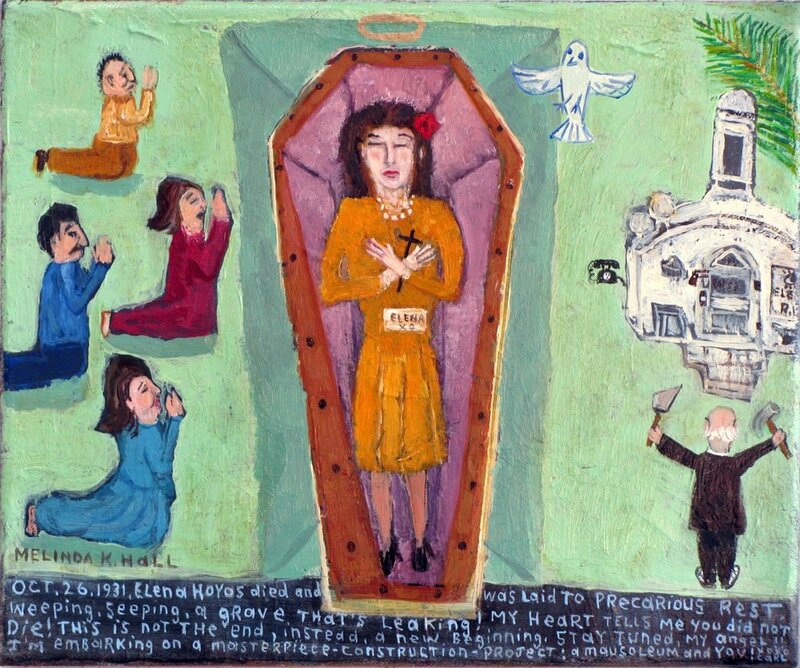 Ex Voto Susepto, is Latin for "from the vow made", and is a painted offering found in churches or shrines giving thanks for a miracle received. For available works, contact Harrison Gallery. Click images to enlarge. A musical comedy about the physical fitness oriented Sunshine Inns and their “just desserts”. The play combines love, trickery, and sweet redemption all baked into a scrumptious three layer cake by Maximillion Longfellow, the best pastry chef on the planet. A stage production celebrating the colorful history of Key West’s most infamous characters and events. Conceived by Ben Harrison, and partially written in collaboration with John Wells, the play includes such musical numbers as Ballad of Bum Farto, The Conch Train Song, Affordable Housing, and The Poultry Operetta. The play ran for over 12 years, starting in 1994, and showed in various venues around the island. Cast members over the years included Ben Harrison, Nadine Imus, John Wells, Marjorie Paul-Shook, and Paul Cotton, of Poco fame. A one-act play written for The Studios Key West's “One Night Stand” event. Aliens from the planet Glow Glob are forced by their women to come to Key West in order to learn more about Fantasy Fest and the sexual enhancements offered on the internet. Hopefully, it was a worthwhile trip.